Nathu means ‘listening years’ and La means ‘pass’. Nathu La Pass forms a part of the Silk Road. 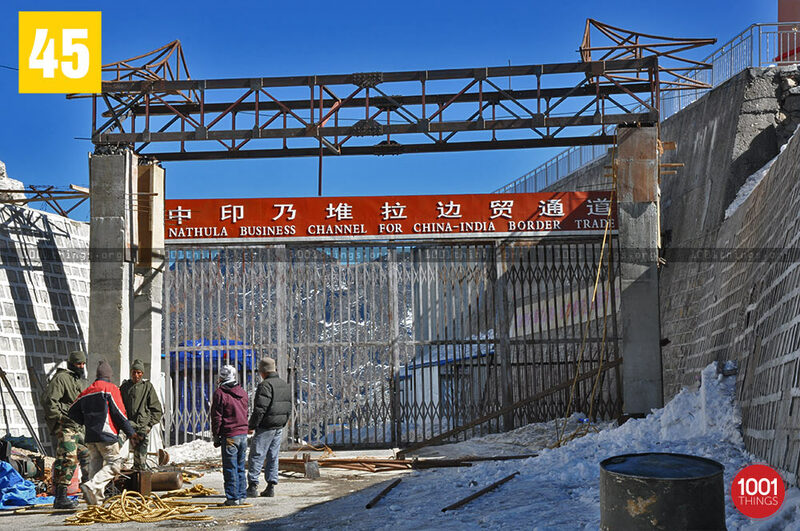 One of the three sister trade routes between India and China, the other trade routes namely Shipkila and Lipulech, the Nathu La pass connects Sikkim with China’s Tibet Autonomous Region. 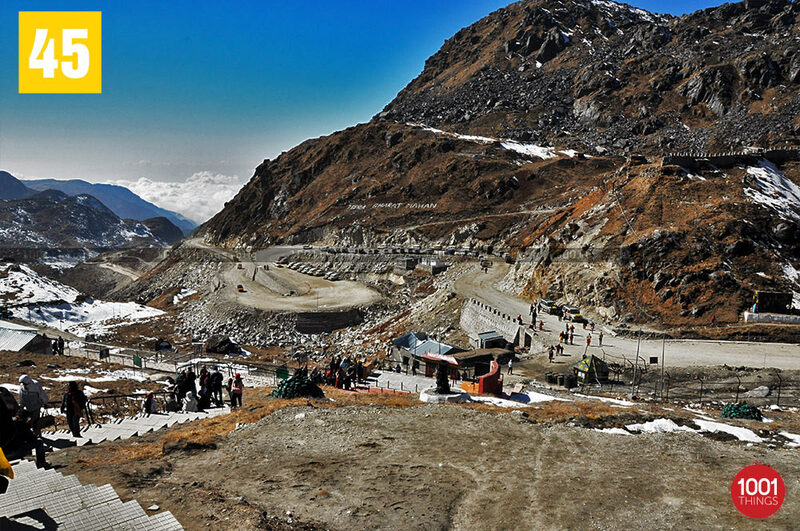 At an altitude of 4310m, the pass is at a distance of 54km from Gangtok. 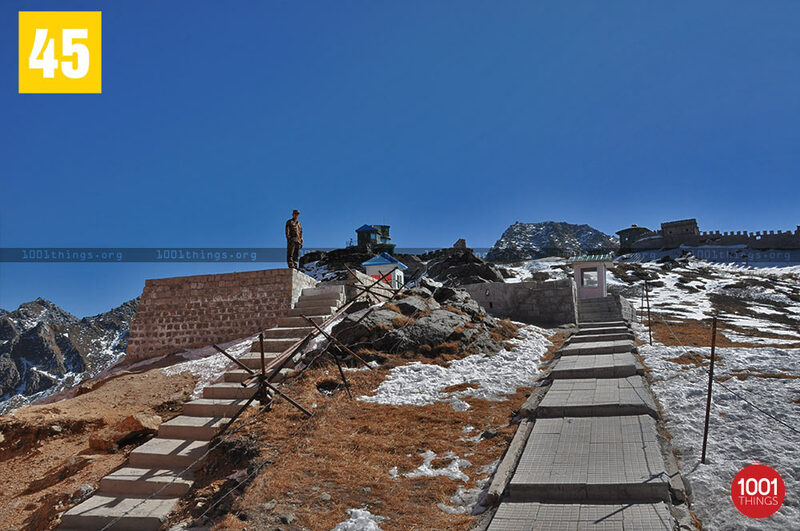 The fenced Indo-Chinese border can be seen with the respective army-men guarding the frontiers. 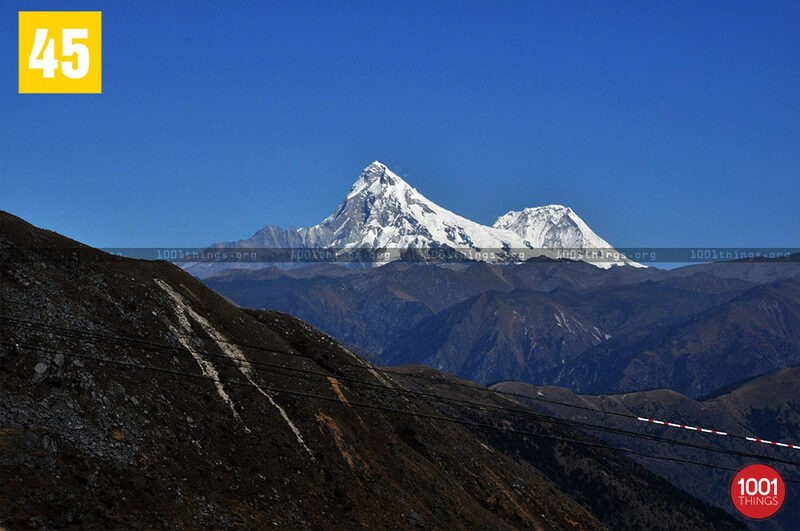 On a clear day the winding route down the valley can be easily observed and on gazing towards the eastern horizon, one can see the magnificent peak of Chomohari of Bhutan. 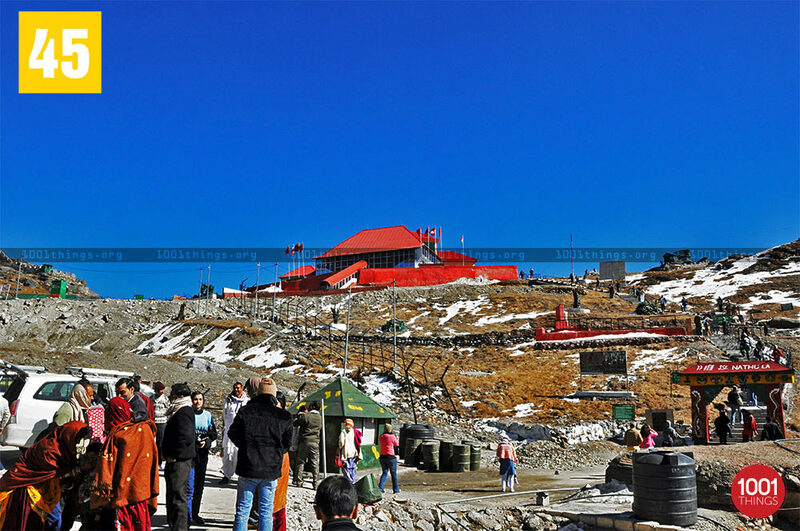 One of the most astonishing and fascinating facts of the Nathu La Border is the presence of 3 – 4 man-made constructions unexpected at such a high altitude. A nearby place called Sherathang which has a well-developed ‘shopping mart’ and India’s highest altitude ‘internet cafe’. Another such place close by is Kupup which is usually cloud covered but nests the second highest ‘golf course’ in the world. The place called Thegu has an ATM at the highest point in the world. It is recommended for visitors to prepare themselves for such an altitude and take proper precautions which involves carrying oxygen cylinders while visiting the place.